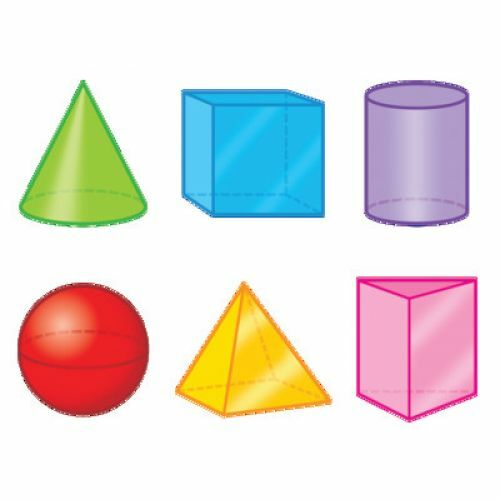 Introduce 3-D shapes: sphere, cylinder, cube, cone, prism, and pyramid. Create learning games, reinforce color recognition, and enhance scrapbooks and craft projects. Endless ways to energize, delight, engage! 5-1/2" - 6" tall, precut & ready to use. Durable & reusable. 6 shapes, 36 pieces.